Katie reached out to us for a couples photography session for her and Zach’s one year anniversary. 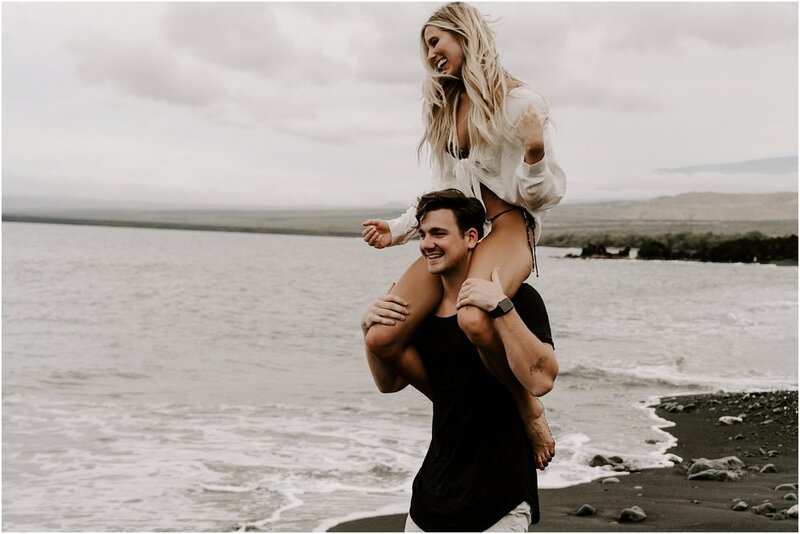 You see, Zach’s family has been coming to the Big Island since he was seven years old. Zach has family that lives here on the Big Island and his family often visits for vacation throughout the year. 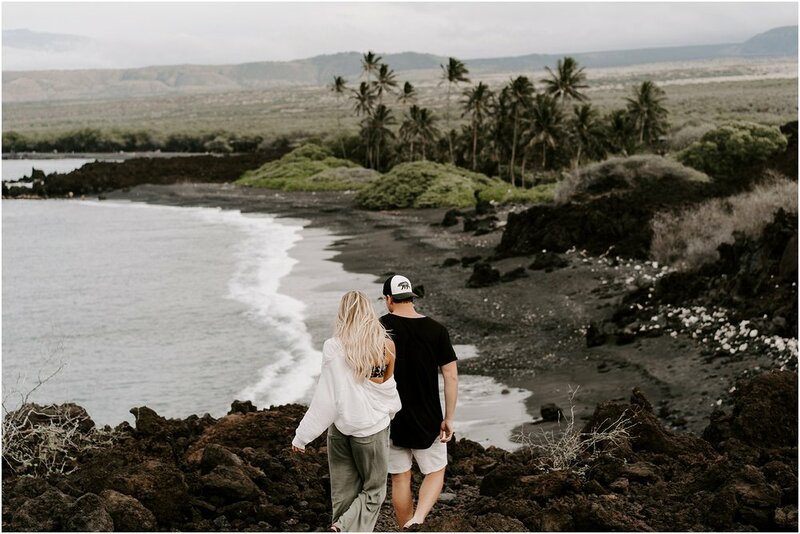 After just two weeks of dating, Zach asked Katie if she wanted to join him on his family vacation to the Big Island, and Katie “said YES on a whim!” The Big Island is super special to these two. It’s where they began to fall in love and it holds a lot of special moments as they began their journey as a couple. After hearing their story, we jumped at the opportunity to photograph this sweet couple for a photography session at the end of December. 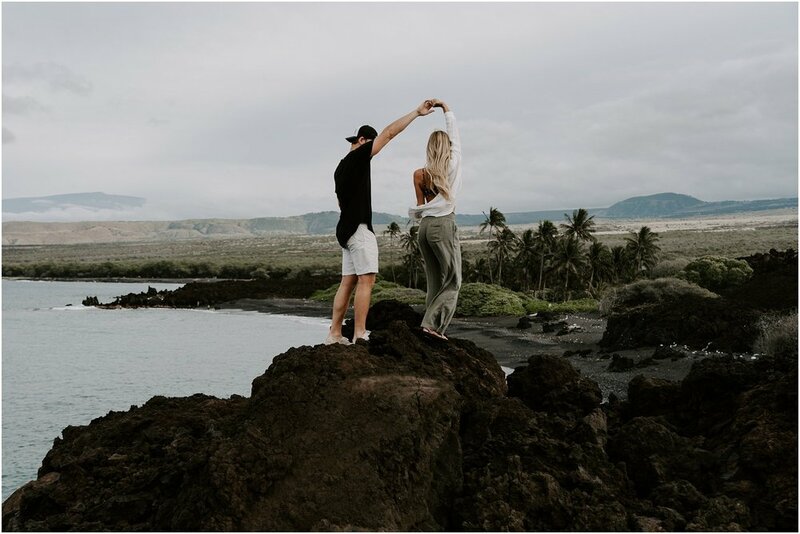 It was our final shoot of 2018, and these two did not disappoint with their sweet love, big smiles, and adventurous spirits. 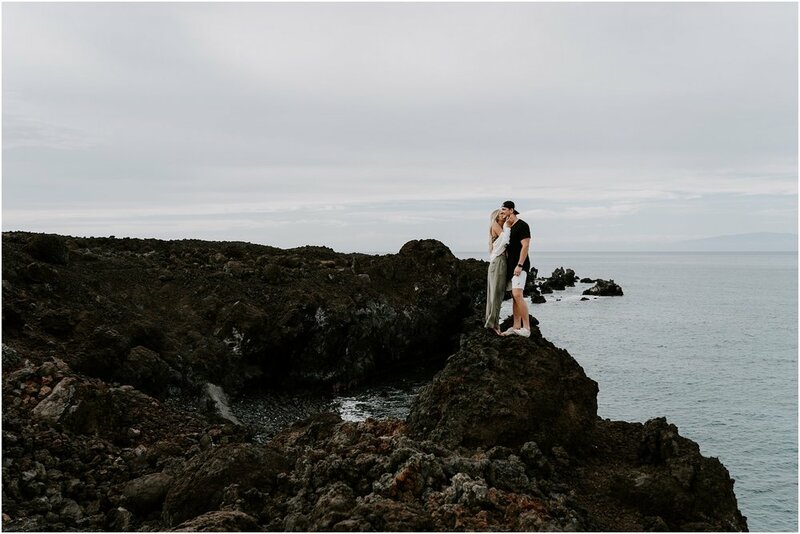 We had so much fun getting to know Katie + Zach and loved how willing they were to participate and join in on all of our suggestions! 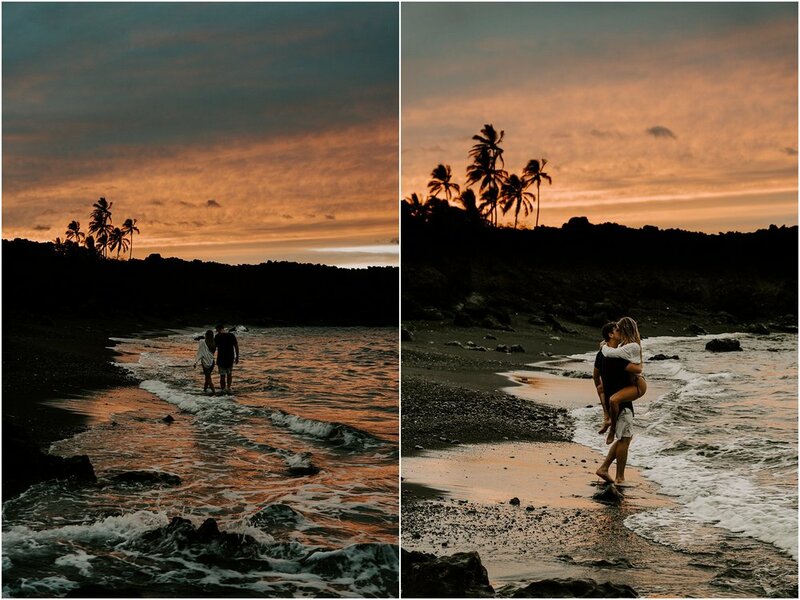 Who else is interested in us capturing an epic couples photography session at golden hour with coconut trees, black sand beach, and jagged lava rock cliff in the background? !